three big climbs and descents stretching over its 19km. skill level and speed progresses. Soon you’ll be railing the perfectly sculpted berms and huge switchbacks, jumping the step up jumps and tabletops and grinning all the way to the bottom of the exhilarating final descent. 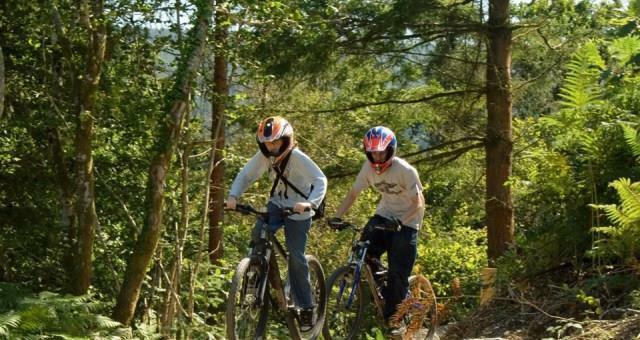 The Gorlech red route firmly puts Brechfa on the MTB Wales map as another top destination. The A482 (Lampeter to Llandovery), the A40, and the A485 (Lampeter to Carmarthen) encompass the forest. There are numerous roads that lead to Brechfa Forest, and Abergorlech and Brechfa are small villages located next to Brechfa Forest on the B4310 road. Follow the A482 between Lampeter and Llandovery until the turn off for Llansawel (B4302). Once in Llansawel follow signs for Abergorlech.